What is a .bike Domain? The .bike domain provides a dedicated digital namespace for all things cycling. Whether you own a motorcycle repair shop or you run a blog that’s dedicated to sharing new mountain biking trails and experiences, the .bike domain may be for you. It’s a unique domain extension that continues to be relevant today, even in our tech-focused world. The domain first became available in 2014. It’s a generic top-level domain, so it can be used by anyone without restrictions. As the name shows, the .bike domain has been adopted by the cycling community at large. It quickly became a memorable extension for enthusiasts and businesses alike. 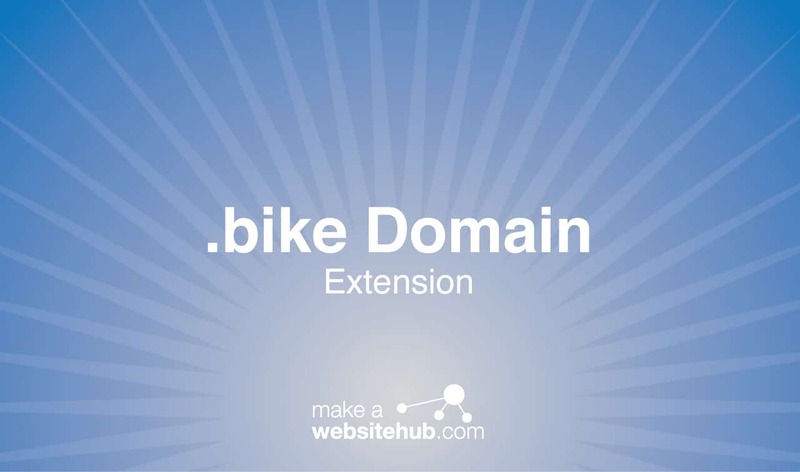 Why Choose a .bike Domain Extension? When you belong to a dedicated community, visibility is everything. The .bike domain extension is instantly recognizable. It builds a sense of trust and authority. Fellow biking enthusiasts will be drawn to your website based on the unique address alone. Meanwhile, new traffic can be generated thanks to the extension’s built-in marketing capabilities. The domain contains a crucial keyword for your industry. You can optimize your website for search engines without changing a thing about your hosted content. Internet users searching for bike-related content will be more inclined to visit your website with a unique .bike domain. This can ultimately help your business flourish. A .bike domain is a natural choice for any company or individual who works within the industry. Online retailers and repair shops can benefit from the domain by using it as part of their overall brand. Every business has a boring old .com or .org extension. A .bike extension lets you stand out while attracting like-minded customers. This unorthodox domain extension’s simplicity opens up the possibilities of what you can do with it. The word “bike” is memorable and can mean a couple of different things. A bike may refer to a traditional bicycle, a rugged motorcycle, an off-road motocross bike, or even a modern electric scooter. As a result, the domain works for a wide range of different businesses. If you own a repair shop, store, or showroom, you can simply attach the extension to your company name. Businessname.bike cuts right to the chase. Visitors will know what type of products or services you have to offer immediately. You can even get more specific to distinguish what type of bikes you deal with. Some examples of this would include motor.bike, motocross.bike, or clipless.bike. For those who are looking to create content-based websites with this domain have even more creative options. The simple four-letter extension is great for domain hacking. You could call your outdoor adventure blog HikeAnd.bike, your educational website LearnHowTo.bike, or your custom motorcycle portfolio site CustomizeYour.Bike. Where Can You Buy a .bike Domain Extension? Plenty of trusted domain name registrars offer the .bike domain. Registration rates are relatively affordable and you can reserve your name for up to 10 years at a time. Check these registrars out to search for unused domains or browse through those that are for sale.